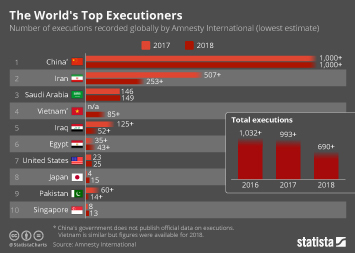 According to research by Reprieve, a UK-based human rights organisation, Saudi Arabia executed 150 people by the end of 2016 for the second year in a row. 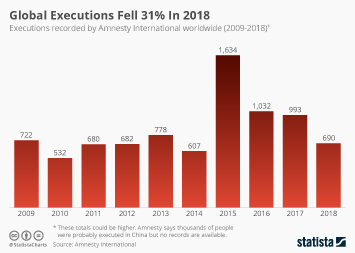 On 2 of January last year, 47 civilians were executed on terrorism charges in a single day, the majority of whom were beheaded. 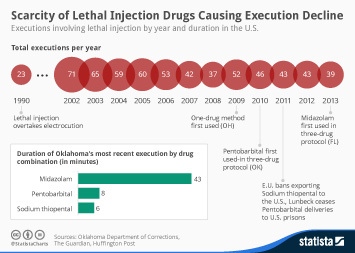 The infographic below was featured in the Independent and you can read the full story here. 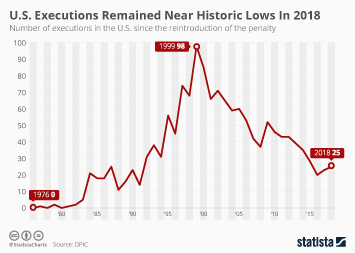 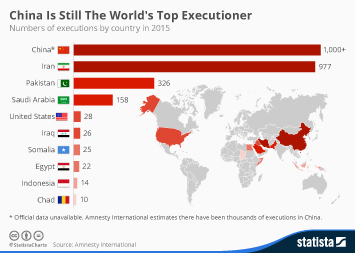 This chart shows the estimated number of annual executions carried out in Saudi Arabia from 2007 to 2016. 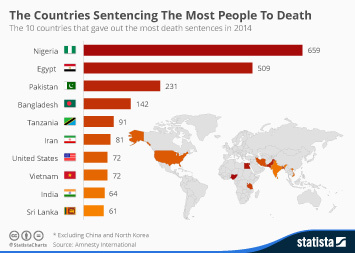 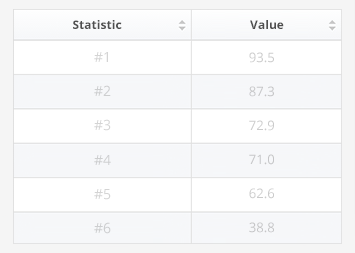 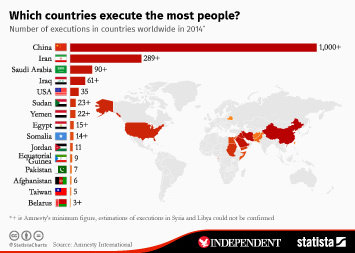 Which countries execute the most people? 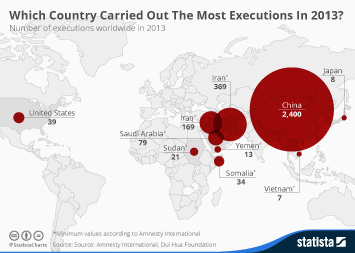 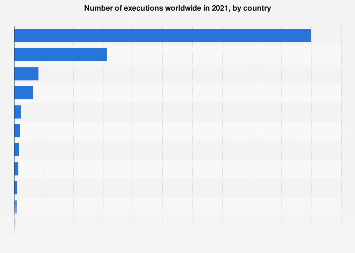 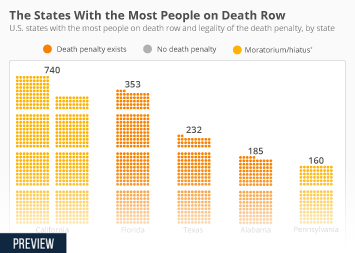 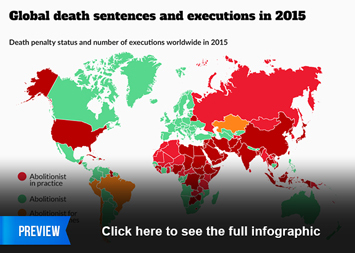 Which Country Carried Out The Most Executions In 2013?